Welcome to the Fishing Report from Townsend, Tennessee in the Great Smoky Mountains. At 5:37 am, the temperature outside is 59.5 degrees. Today will be sunny and warm, with a high temperature in the mid-80’s. It will be sunny and warmer tomorrow and Saturday. We have a slight chance for thunderstorms Saturday and a high chance Sunday. Little River is flowing at 225 cubic feet per second (cfs) or 2.03 feet on the flow gauge. Median flow for this date is 151 cfs. The water temperature is 62.8 degrees this morning. All the streams in the Park, that have USGS flow gauges are reporting declining flows that are still above median flow. They are falling slowly. Fishing in the Smoky Mountains is good. That is an easy determination to make, based on flows and water temperatures. 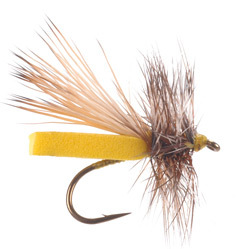 I would use small yellow stonefly patterns or foam beetle patterns for a dry fly. And, I would use a Green Weenie, Pink Weenie or Squirmy Worm as a nymph. 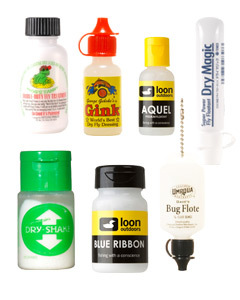 Many other fly patterns will work, and others may work better than what I would use. You should not have any problems catching trout. Fishing will be best early or late. 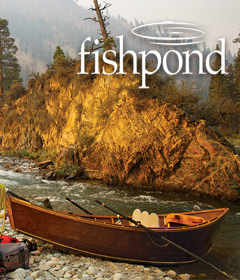 Fishing will also be best in the mid to higher elevations where the water is cooler. Concentrate on shaded water during midday hours. Stealth is important right now. Avoiding crowds on the larger rivers is also a good idea. You may want to hike into the backcountry to avoid other river users, like swimmers and tubers. If you have lung ailments or trouble breathing, you might want to limit outdoor activity today. We are under an Air Quality Alert due to high ground level ozone concentrations. Tennessee Valley Authority (TVA) is still sluicing or spilling at some dams in the Tennessee River Valley. It seems they plan to cut back on flows in the near future, but for now, the tailwaters I checked this morning will be flowing high. You can visit the TVA website using the links below to check your favorite tailwater. I hope you can get out on these rivers soon. I think the lakes are fishing well. I don’t know for sure. I can’t go. The lower driveway at our boat house is blocked by a dumpster. Jack and Paula are remodeling our bedroom and bath. The dumpster is supposed to be removed Monday. I am looking forward to that. I would consider wade fishing or paddling the lowland rivers. 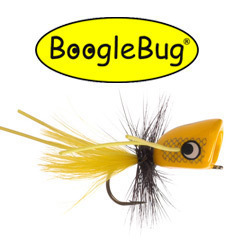 They should be fishing well, for smallmouth bass, largemouth bass, rock bass and bluegill. 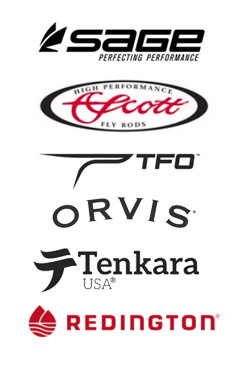 They will be taking top water flies, poppers or floating foam flies. If that does not work, switch to streamers or big nymphs. Fishing will be best early and late when the sun is off the water. During midday hours, fish the shaded areas of the rivers. Great Smoky Mountains National Park will receive 2.5 million dollars in funding to rehab and upgrade the Elkmont Waste Water System. This funding is provided by a bill that was approved to fund some maintenance backlogs in National Parks. That is good news. One proposal on the table was “doing nothing” right now with the Elkmont Waste Water System. You can read more on the WBIR website by CLICKING HERE. This is synchronous firefly week at Elkmont. Access will be allowed to only those who applied for and go a permit to Park at Sugarlands to ride a shuttle to the site. Only 1,800 permits were given, though approximately 22,000 people applied. The permit holders were drawn randomly. I forget the rules, but you can’t park at the trailhead at times during the next 7-days. So, you will have to adjust your fishing plans, if they include fishing the East Prong of Little River above Elkmont. Read more on the Knox News website by CLICKING HERE. This report is published every day to help those who do not know what the fishing conditions are, to make a decision about whether to go, and what to expect when they get here. This report is a product of my mistakes I made when I lived in Nashville and traveled here to fish. Back then, there was no internet. Sometimes my friends and I would show up here, to find the streams blown out, too cold, too low or too warm. 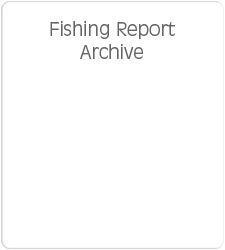 This report is also crafted to inform the “average fly fishing angler” who is fishing without a professional guide. I may determine fishing is “fair”, but a guide could take you to a spot where fishing is good or excellent. The report is written early in the morning, using data gathered at that time, usually before 6 am. 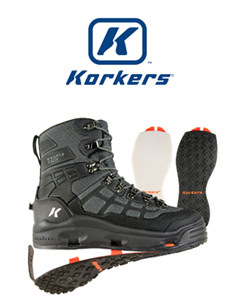 We try to be very conservative about safety issues, for those who do not know about the ever changing conditions. These streams are high gradient. Within Great Smoky Mountains National Park, is a temperate rainforest. We get a lot of rain in the Smokies. A stream can be pristine and very fishable one minute, then turn into a raging river at any moment, especially when thunderstorms are in the area. The past couple of weeks was a prime example of that happening. That can happen in one stream, but not in another close by. 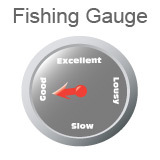 The two most important considerations, used to deem fishing to be good or slow are, flow and water temperatures. If both are within certain parameters, fishing is good. If they are not, fishing will be slow or fair. Of course there are certain times of the year, when aquatic insect activity is very high. Fishing can be excellent then, if the temperature and flows are good. That is usually during the early Spring months. Fishing is normally very good here in June. If the rain continues this month, and we don’t get too much at once, this will be a good month to fish in the Smokies. I hope that is the case.